A fear of being deported because they are not clear about their status in Canada. A lack of information about the rights of women in Canada. A lack of access to information regarding their legal rights and Canadian laws. A lack of access to social services and support networks. An experience of social and physical isolation. A fear of bringing shame to one’s family (all cultures have norms and values that reinforce this fear in some way). 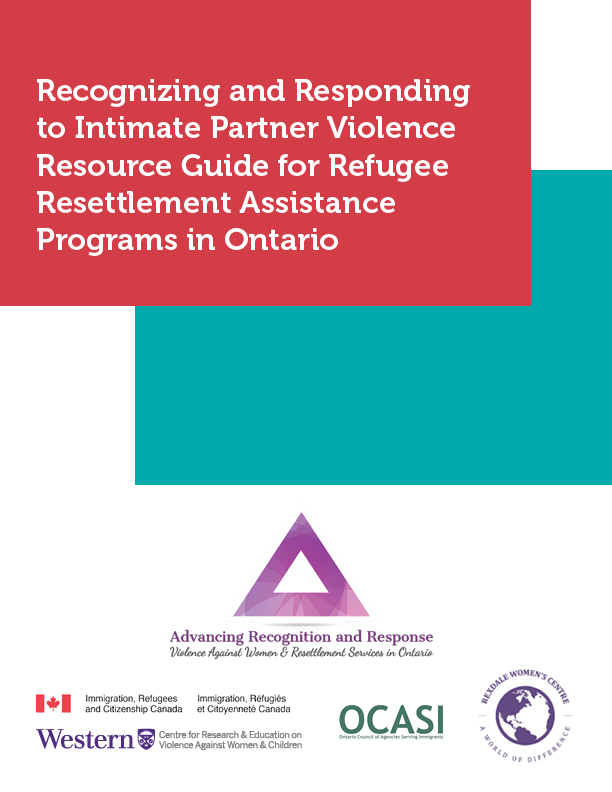 A lack of awareness of the Direct Service Workers of the specific vulnerabilities of government-assisted refugee women. While it might seem overwhelming to consider how to address violence in familial relationships, RAP workers understand that their clients will face significant barriers to successful settlement and adaptation to their new homes if issues of violence are not addressed. We hope that this guide will be a tool that can enrich the capacity of RAP workers to provide excellent quality services to government-assisted refugees. The webinar also makes reference to a Resource Guide Utilization Plan which is available for you to explore the ways in which this material can effectively be integrated into the course of your service delivery. Use this checklist to create a Recognition and Response Plan. 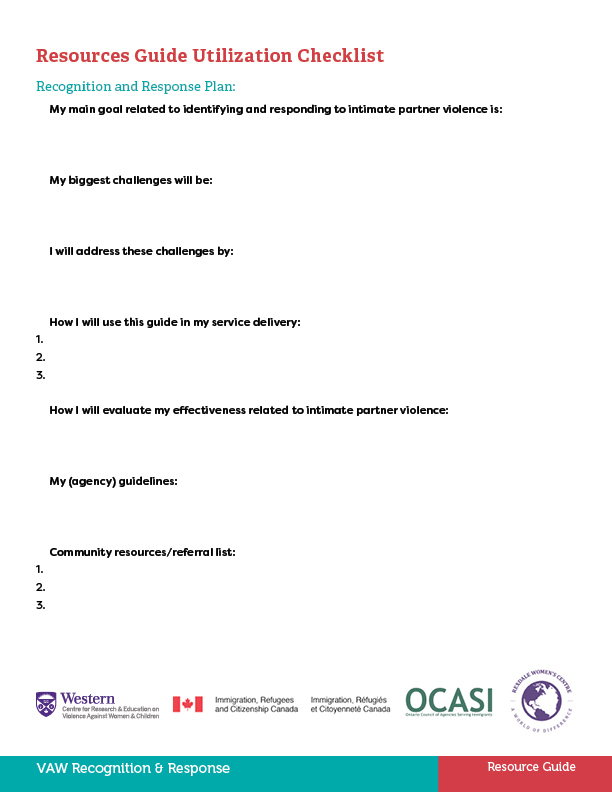 It can help you to think through challenges you may face in doing this work and become a quick reference for your agency guidelines and resources in your community.